A clear specialty penetrant and sealant that protects concrete bridges and super-structures. It protects concrete from the damages of water and de-icing salts. Based on 100% acrylic latex polymers, and specialty chemicals. DOT approved in many states. 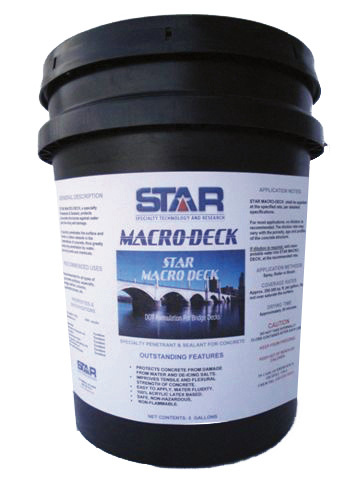 Improves the tensile and flexural strength of concrete. Easy to apply and store.